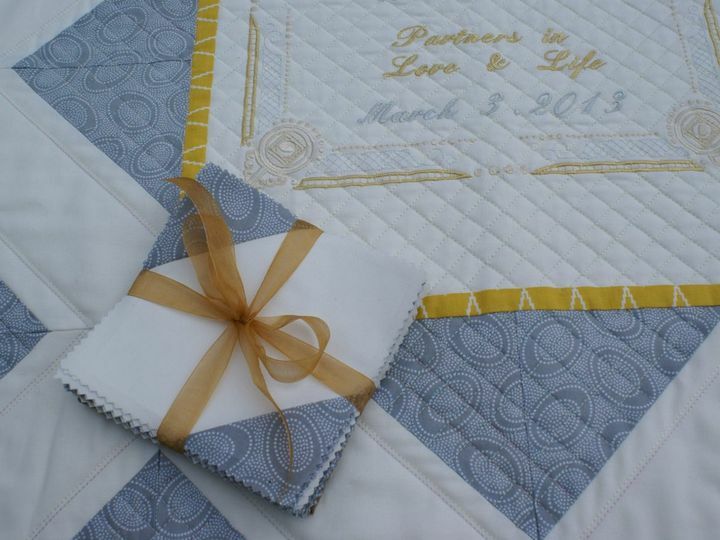 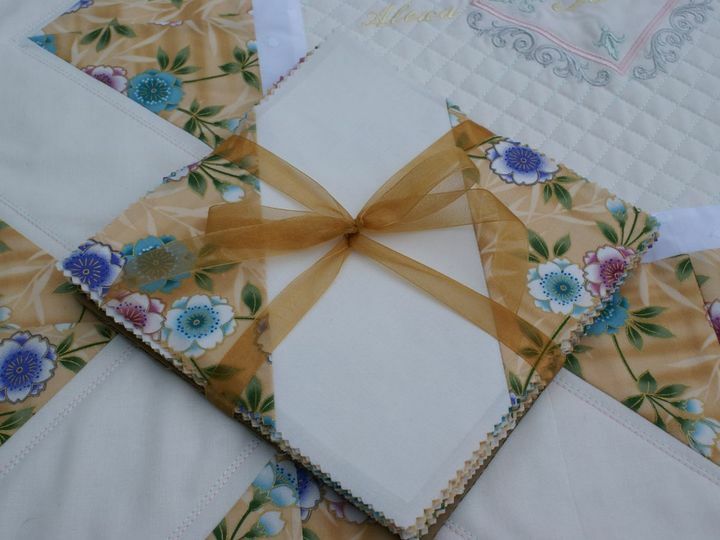 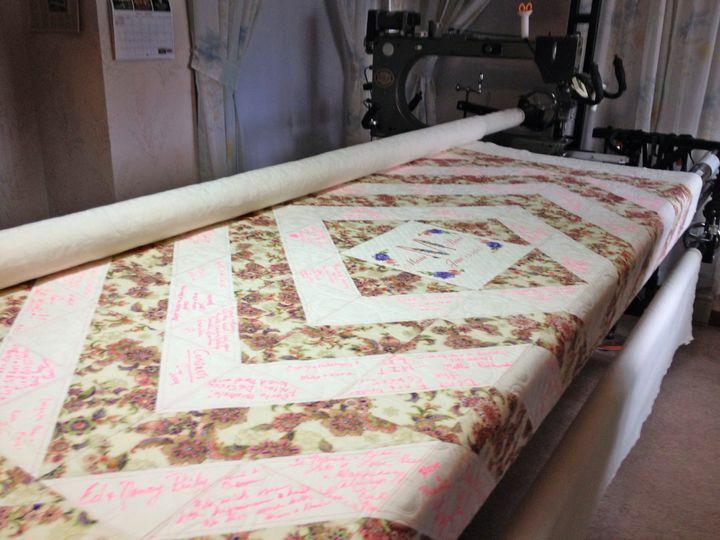 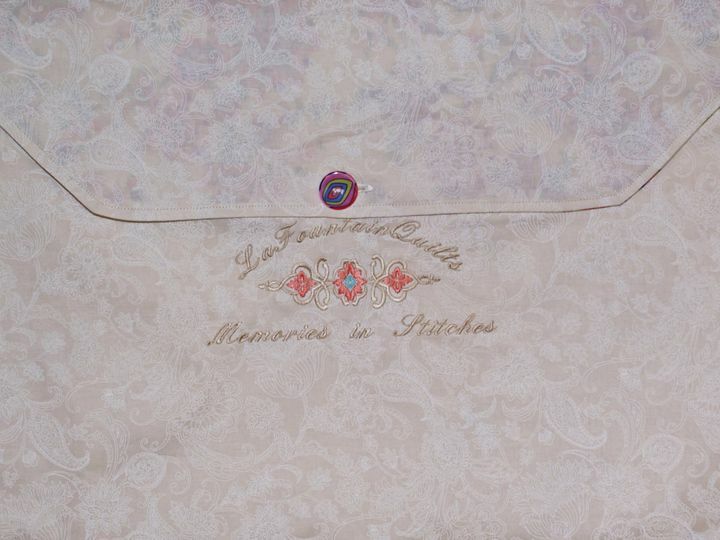 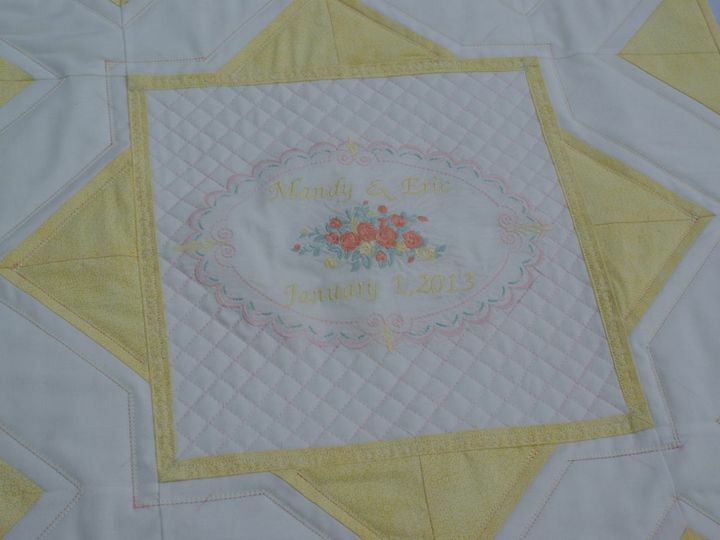 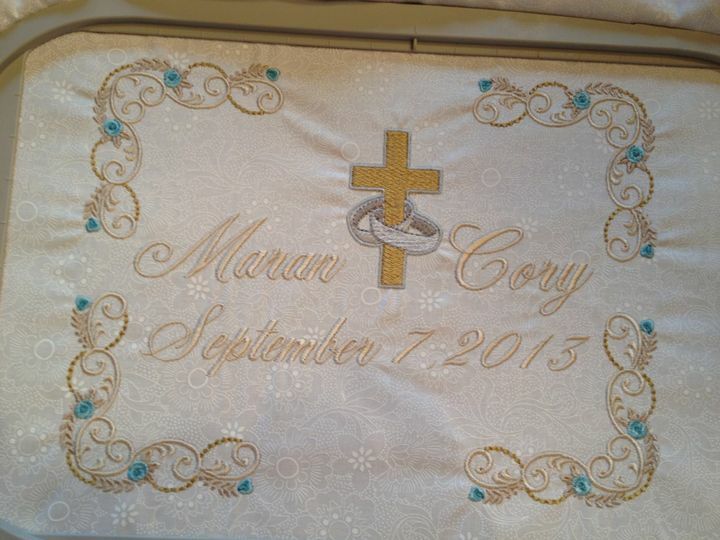 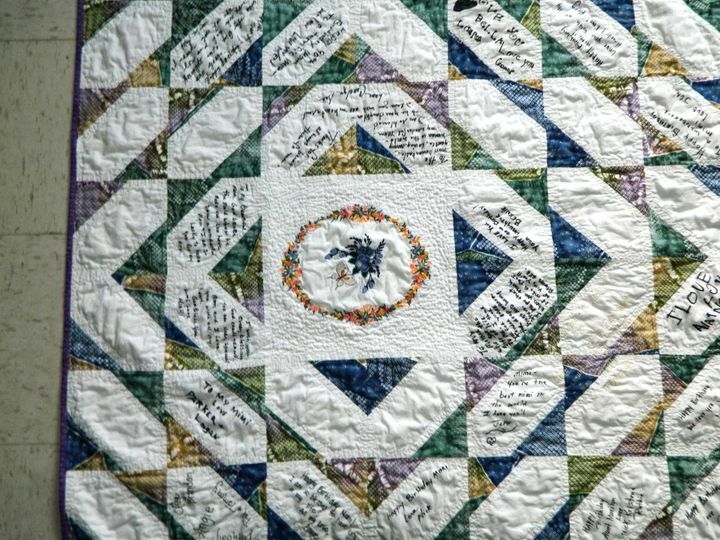 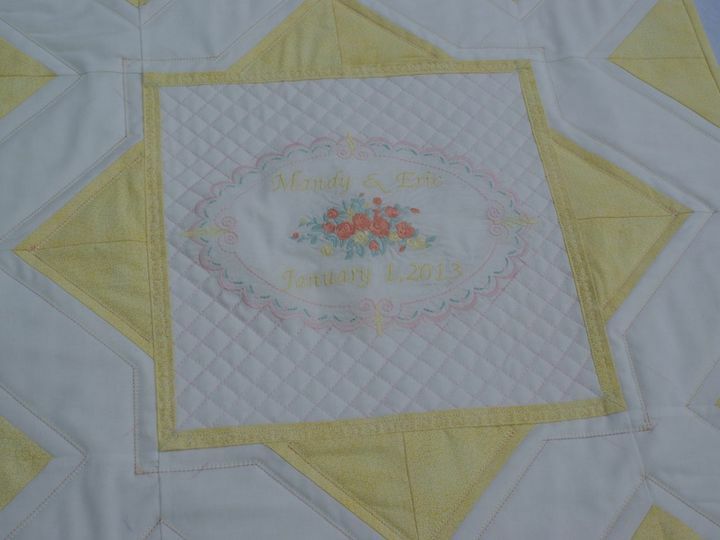 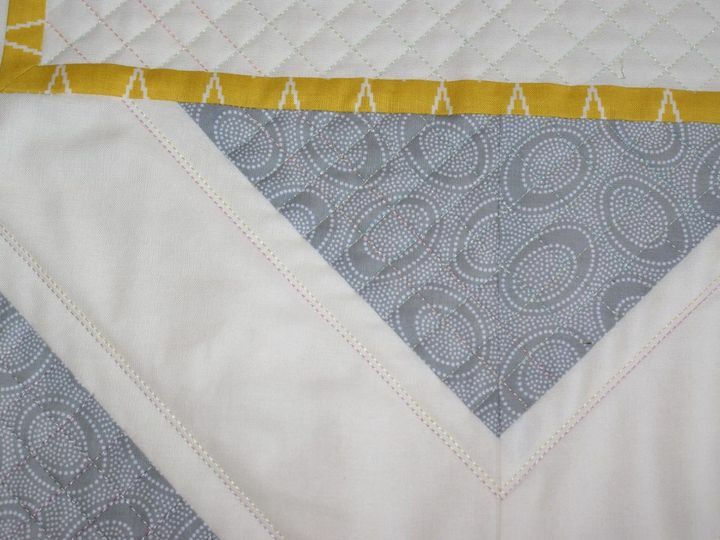 For a truly unique, elegant and lasting memento of your special event consider a LaFountain Celebration quilt. 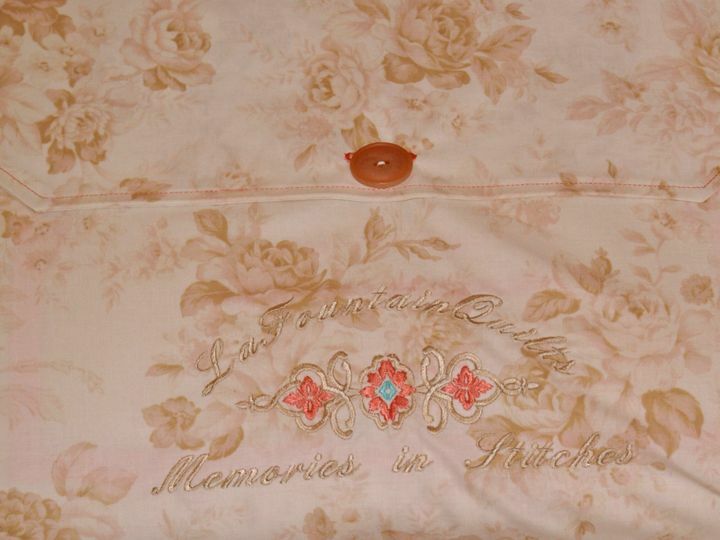 Stitching Memories Together is what we do. 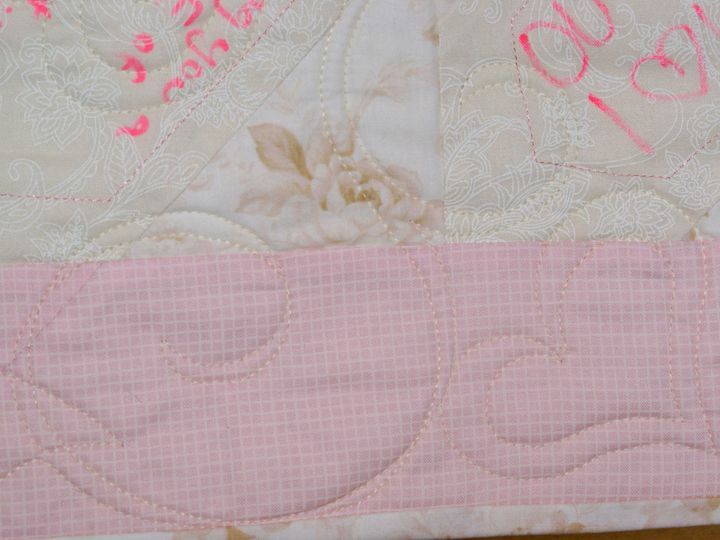 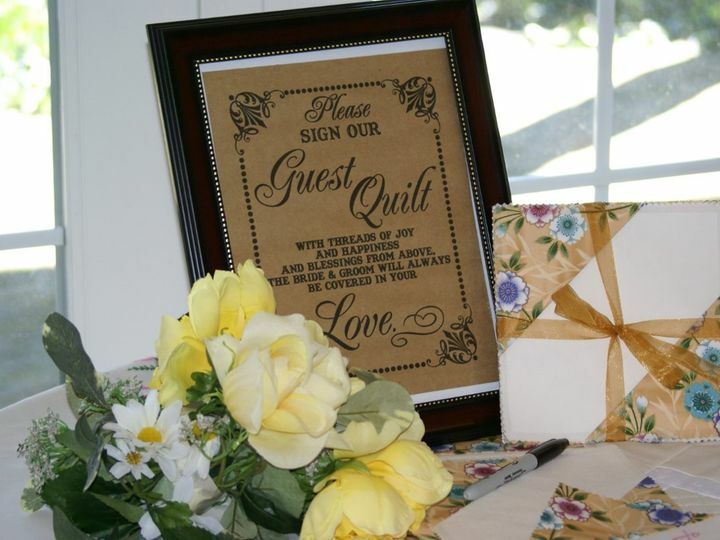 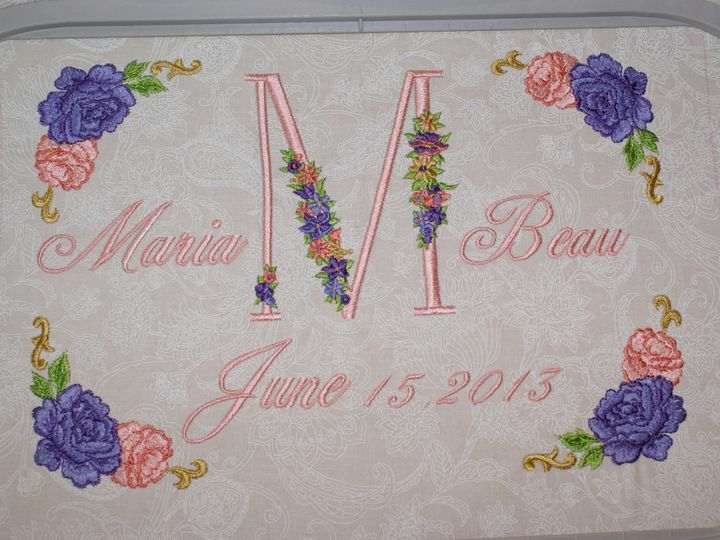 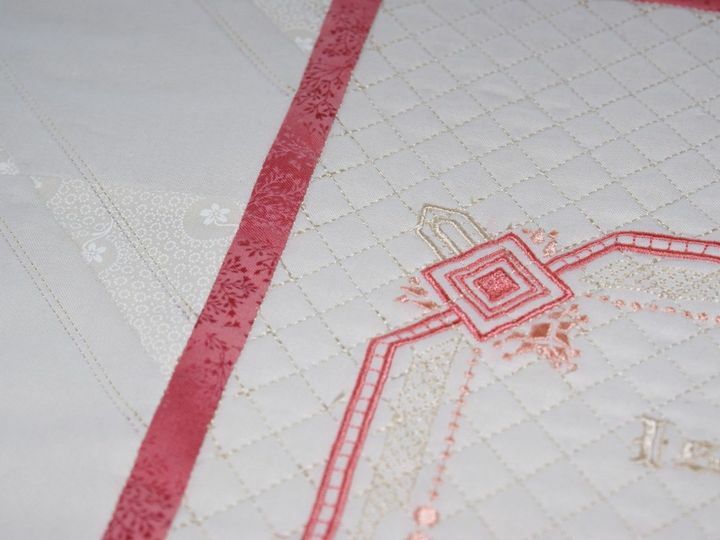 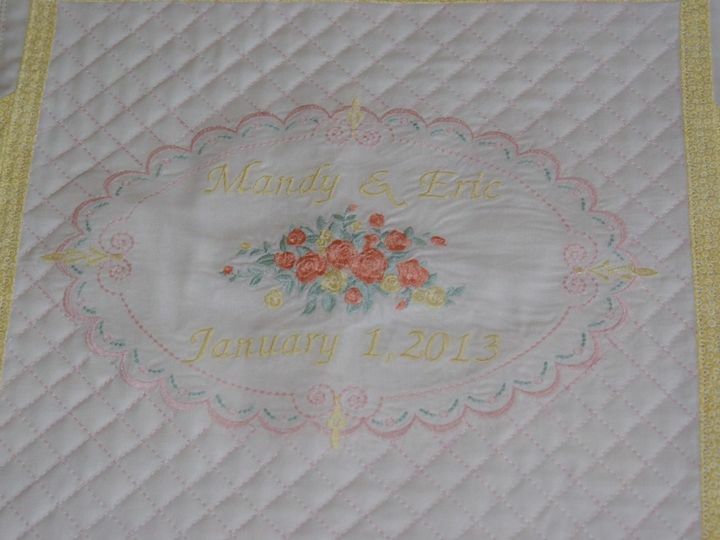 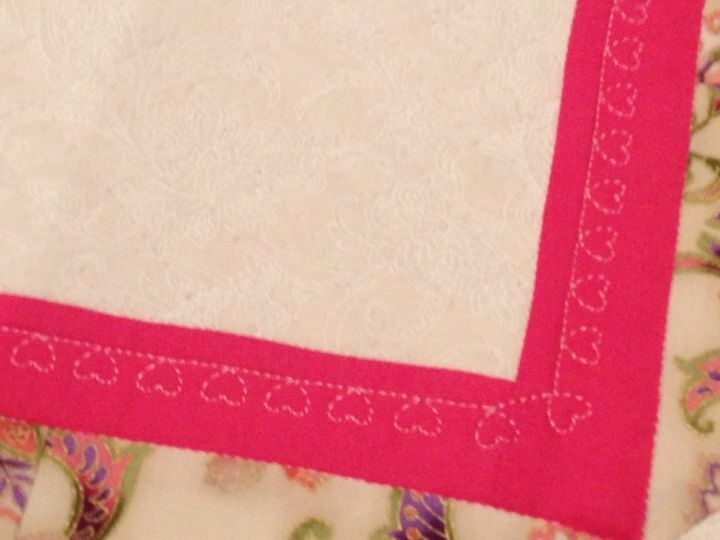 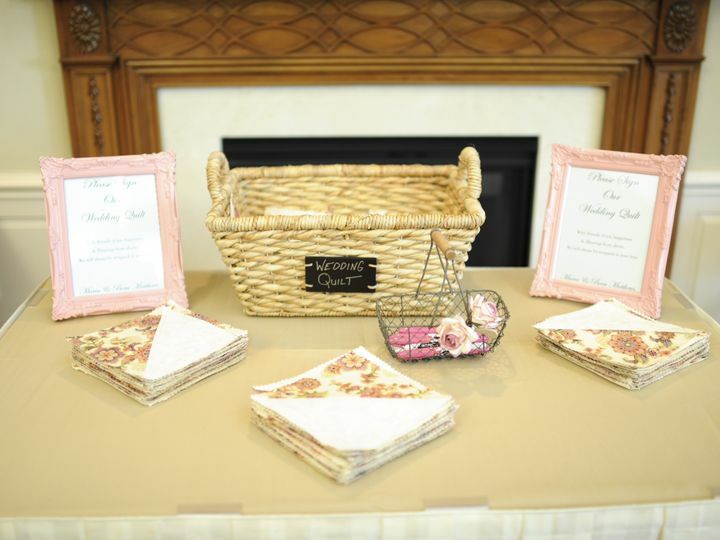 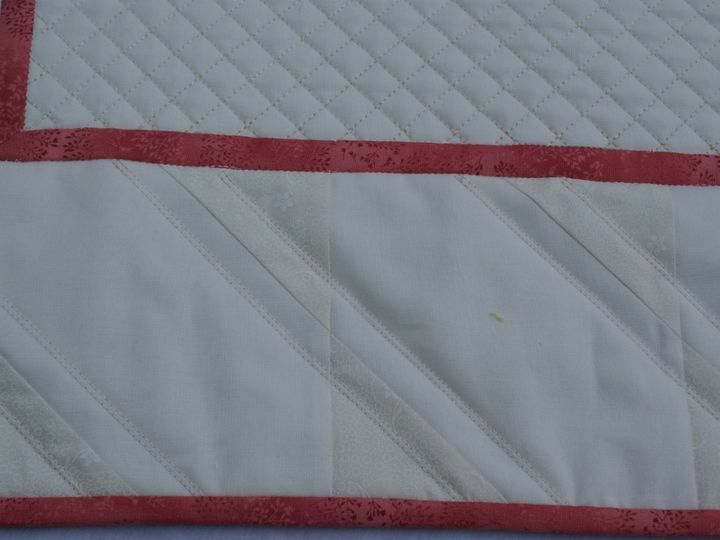 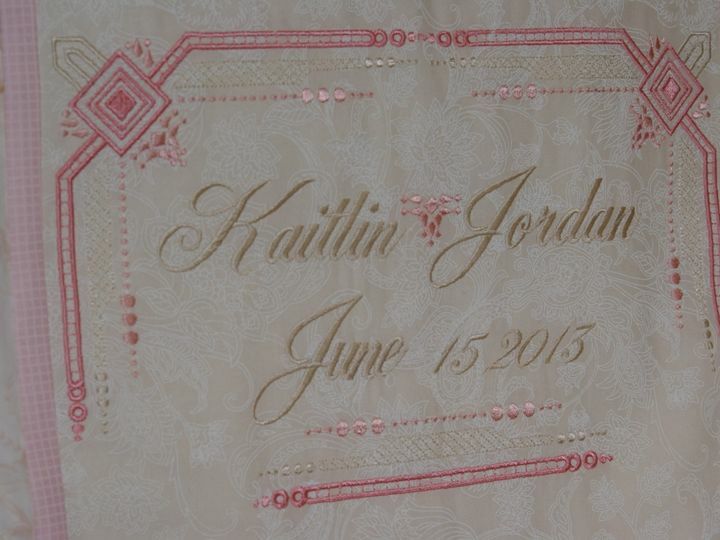 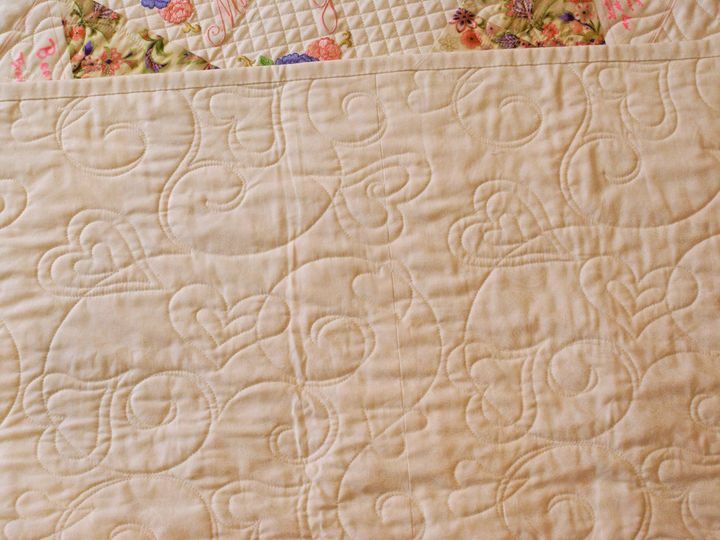 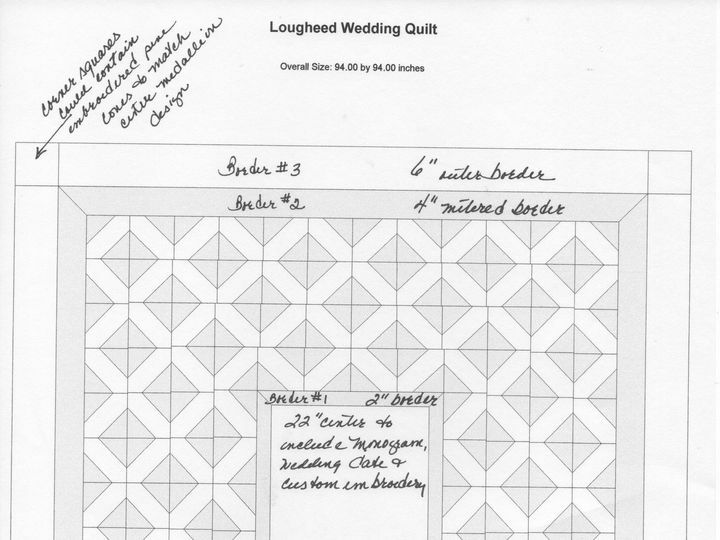 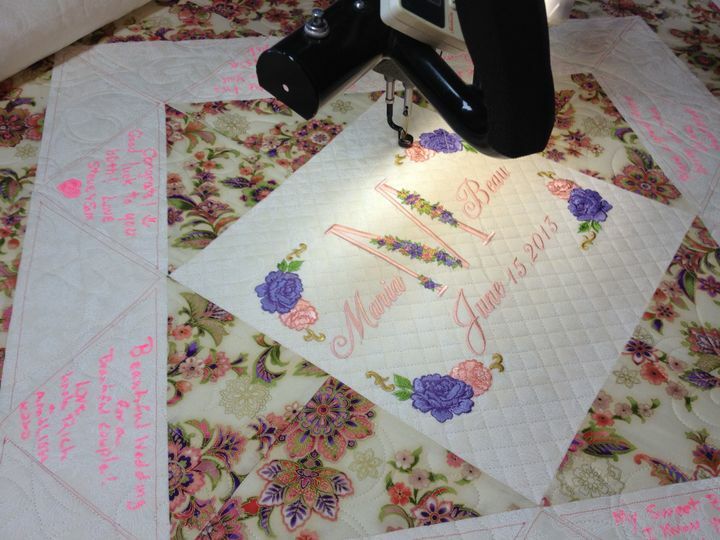 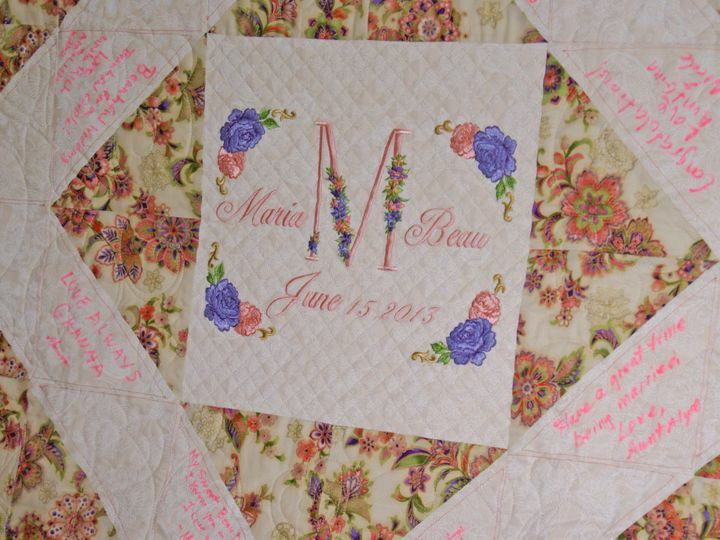 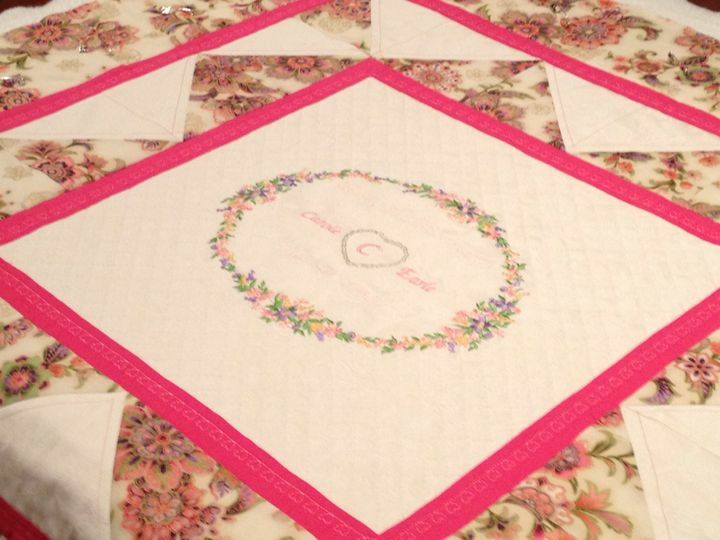 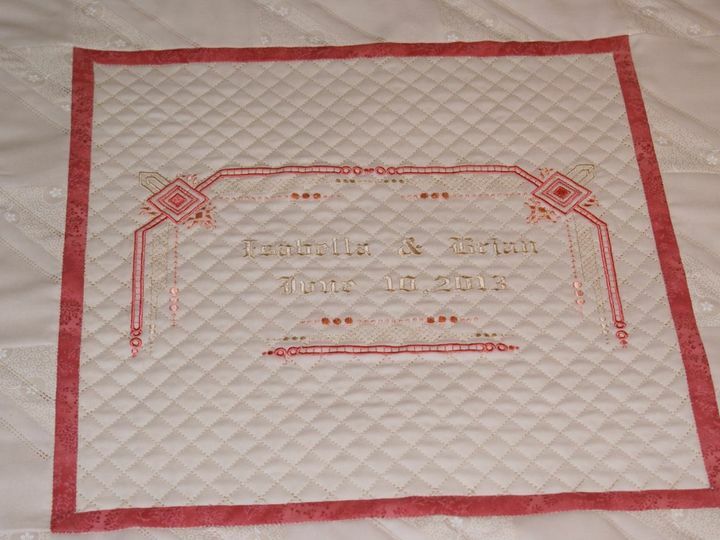 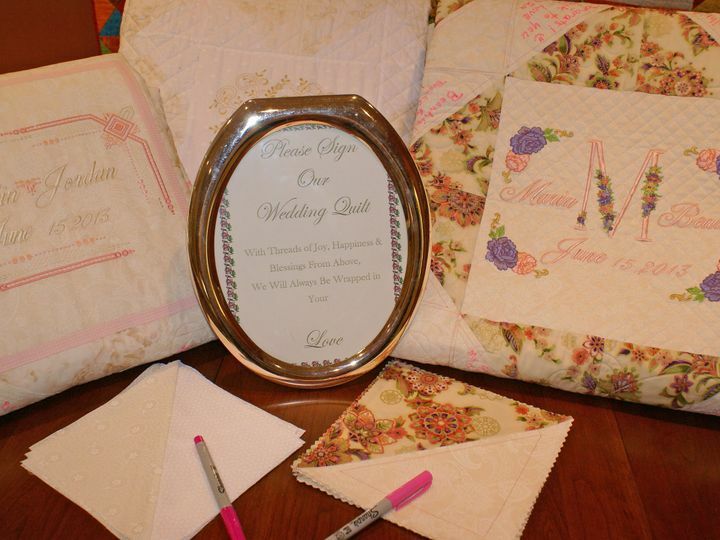 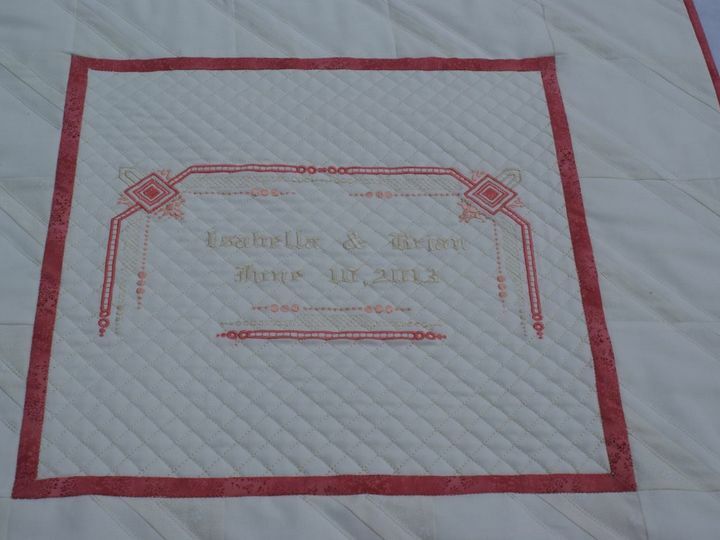 For weddings, a LaFountain quilt offers a unique alternative to the traditional guest book when your guests sign finished quilt squares that, when sewn together and embellished with custom embroidery designs and monograms, transform into a wonderful and unique memento of your wedding. 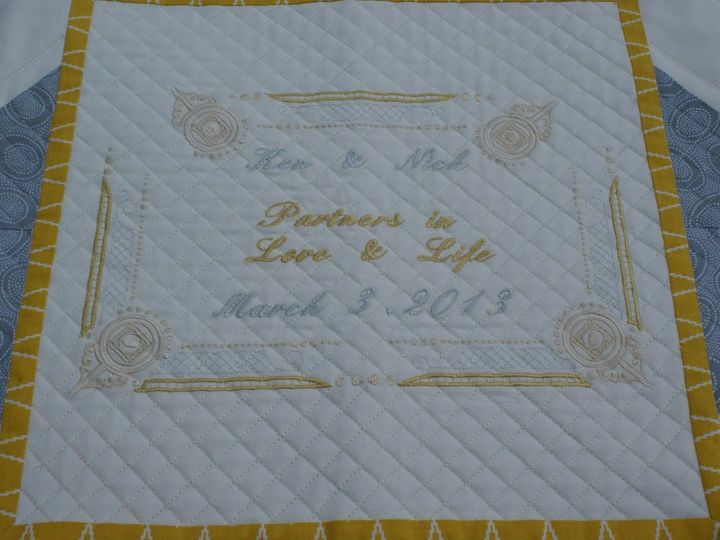 The joining of exquisite fabrics with carefully and artistically placed stitches is symbolic of the union of two people on their wedding day. 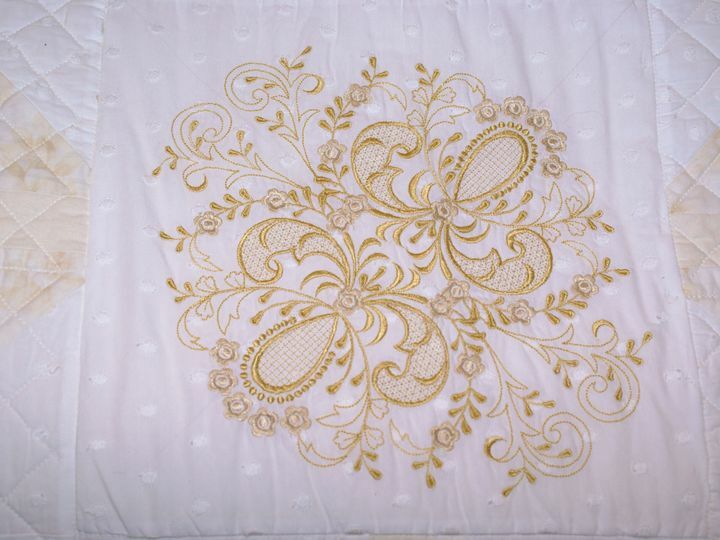 Reminiscent of the 17th century Provence tradition to make or commission a wedding quilt for the marriage bed, LaFountain quilts are lavishly stitched and gorgeously embellished with custom motifs of personal significance to each couple. 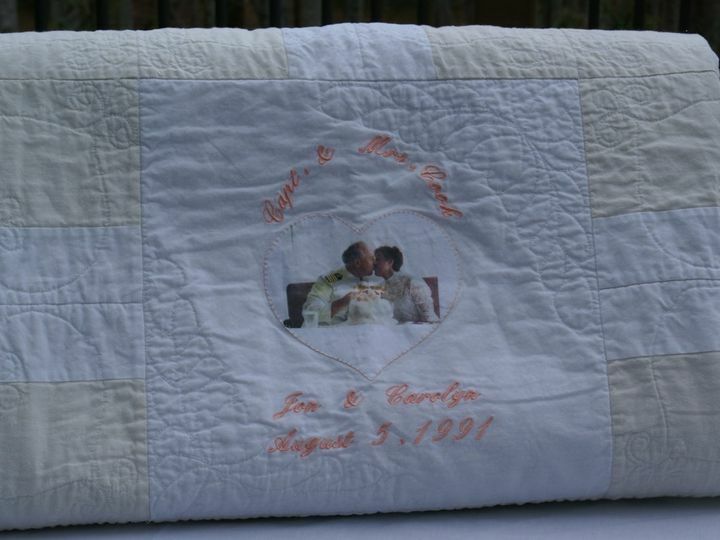 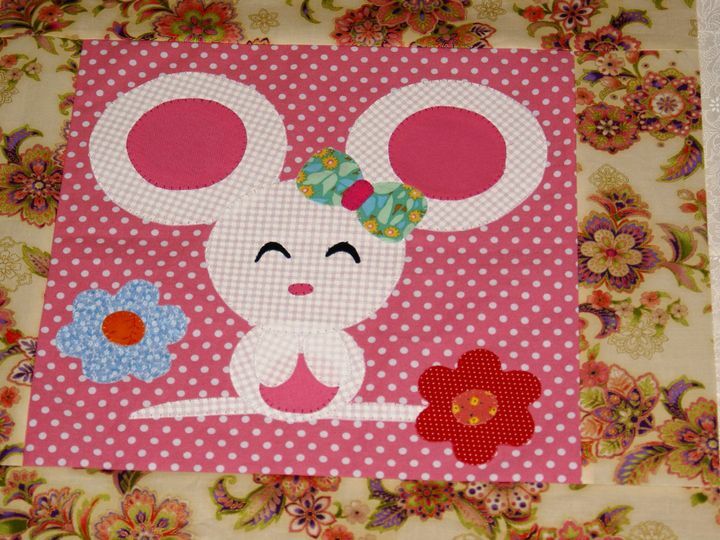 LaFountain Celebration quilts are also appropriate for celebrating the birth of a new baby, a christening, milestone birthday, special anniversary, BarMitzvah or passing of a loved one. 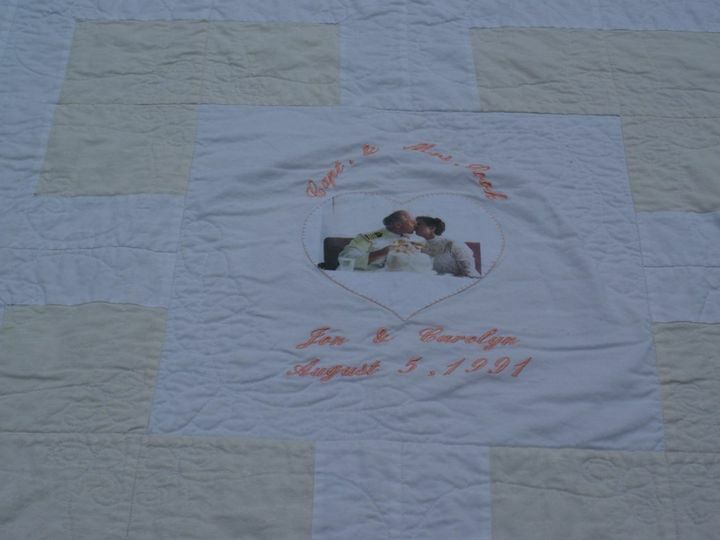 Recent quilts include a signature birthday quilt for a 90-year old Matriarch filled with loving messages from each family member; a photo memory quilt celebrating the life of a husband/father recently passed; a wedding quilt for two medical doctors filled with custom embroidery designs of personal significance including a heart-shaped stethoscope, baby feet for the gynecologist bride, football for the football enthusiast groom. 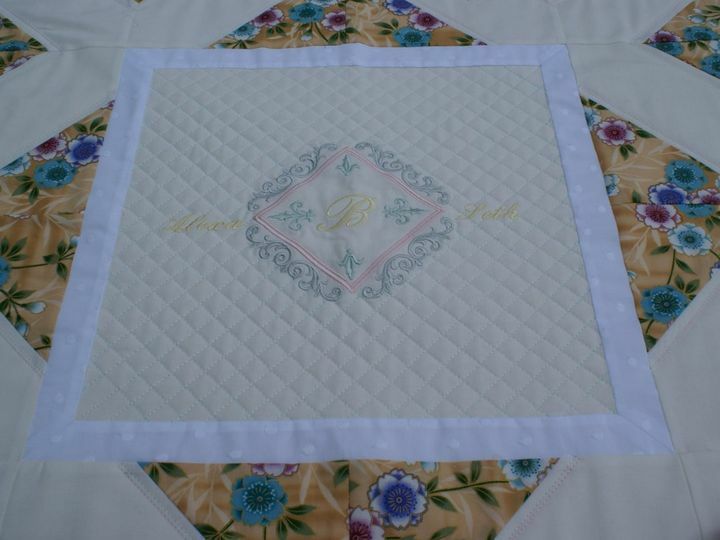 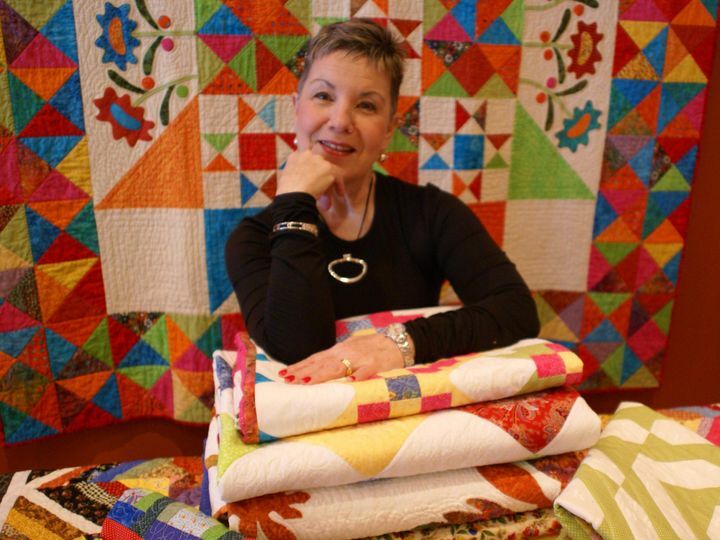 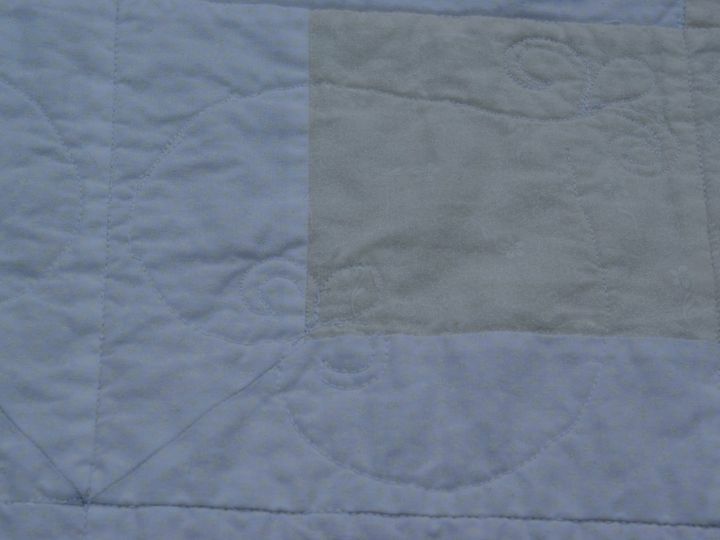 Customers with a passion for casual elegance and a discerning eye for quality workmanship will appreciate the distinction and artistry of the quilts I design. 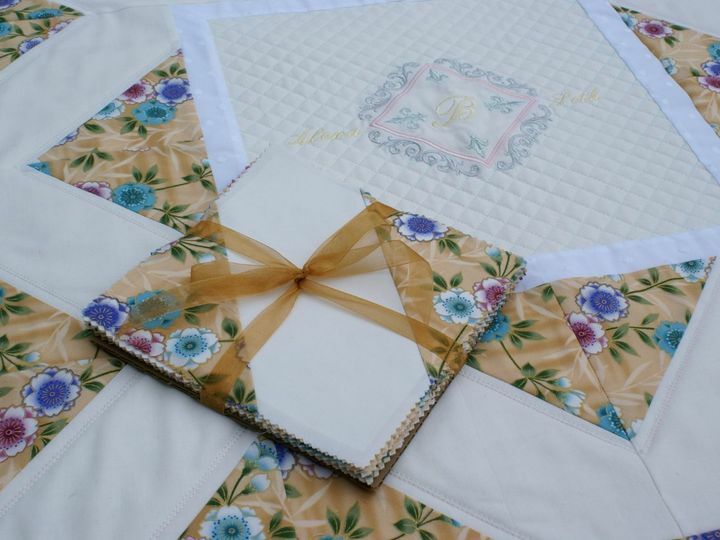 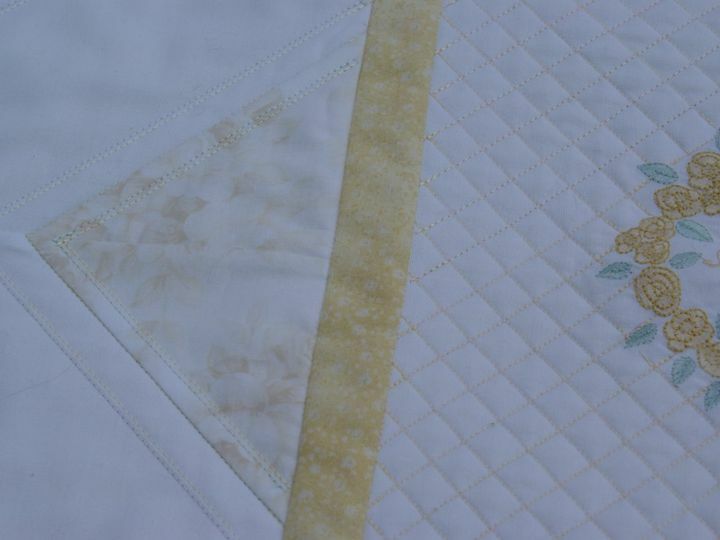 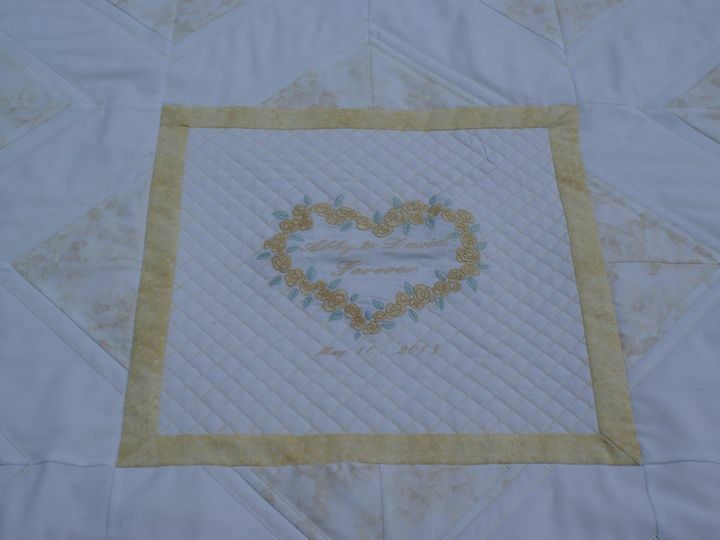 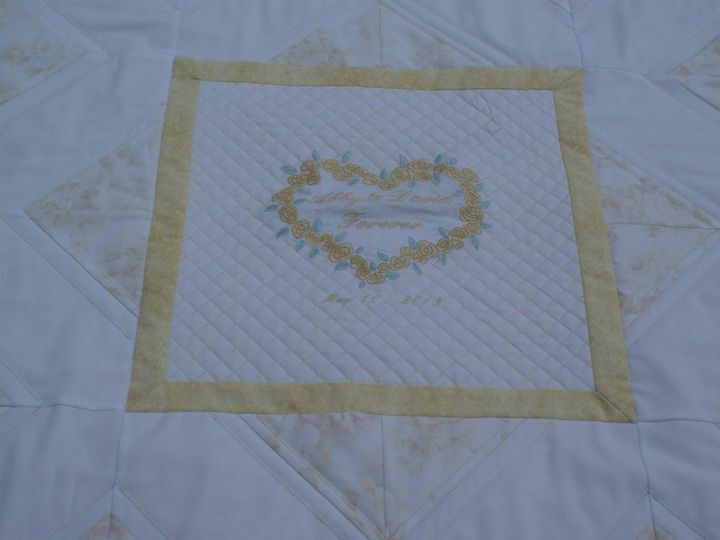 The gentleness and elegant simplicity of a LaFountain Celebration quilt will capture those special memories in an instant heirloom that will lend casual elegance to the home for years to come. 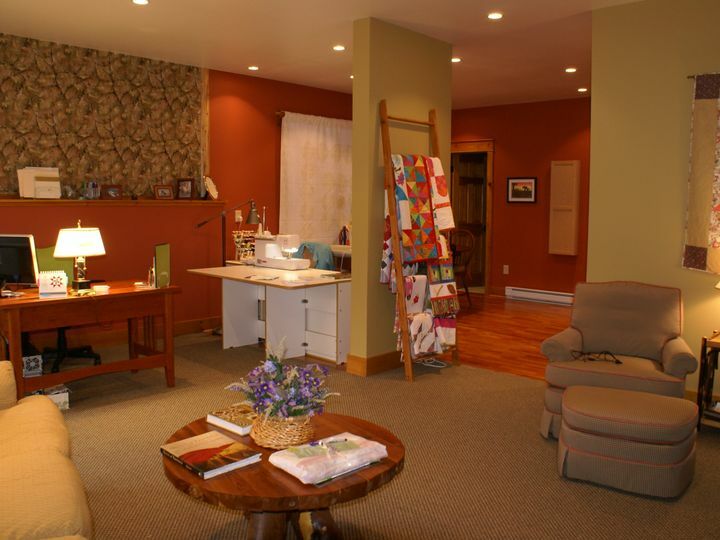 While my studio is physically located in Lake Placid NY, I service clients throughout the country and Canada. 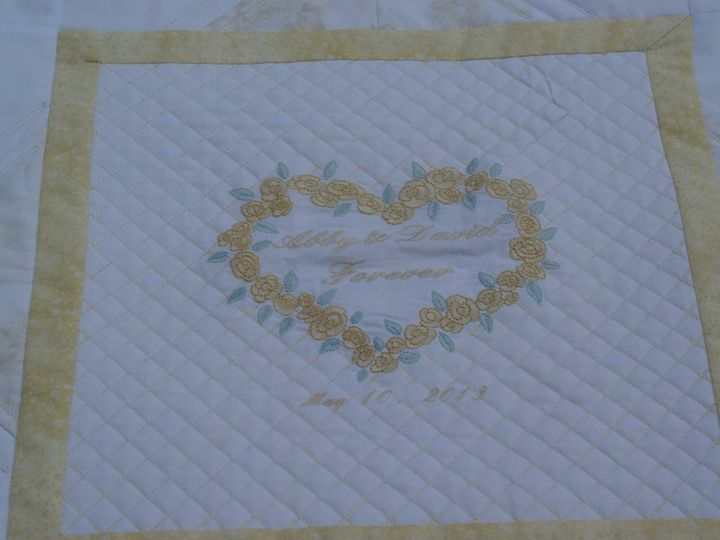 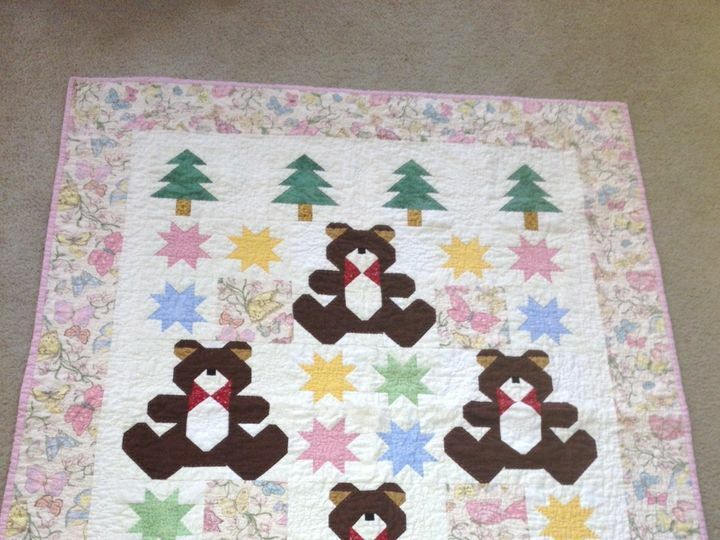 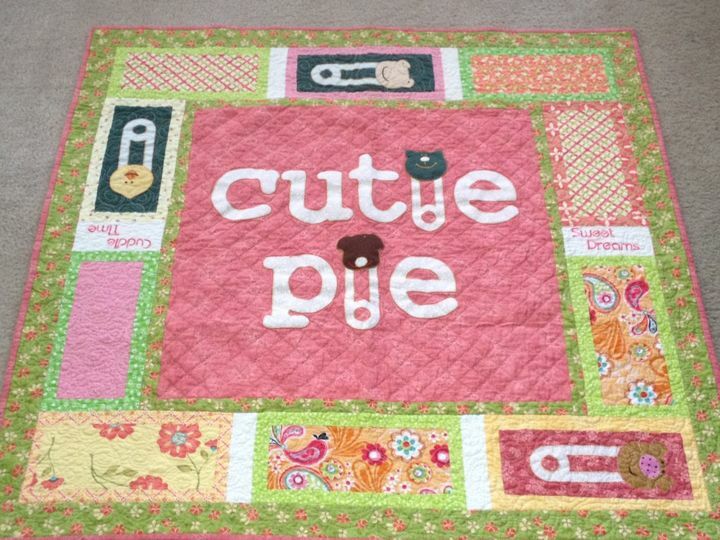 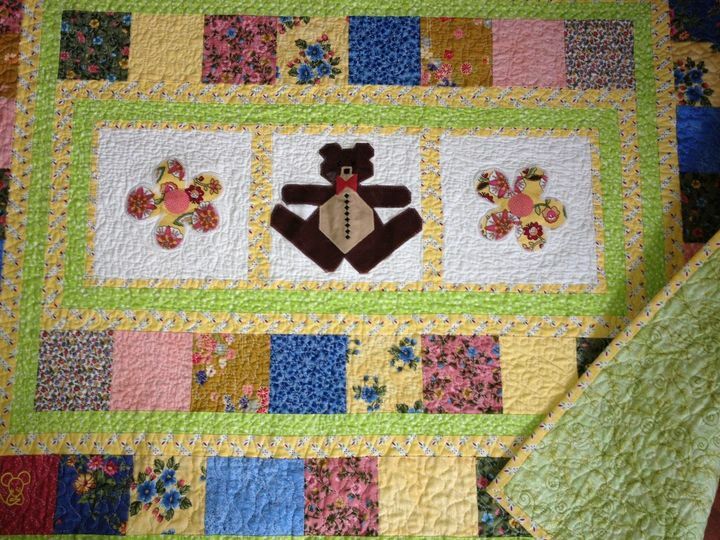 Please contact me at (703) 402-0443 or email me at [email protected] to discuss your special quilt.